Regulars at Nadia's nature lodge don't ask what she does in the off-season. And that's a good thing. If she told them, she'd have to kill them. She's a hit woman for a Mafia family. Tough and self-sufficient, Nadia doesn't owe anyone any explanations. But that doesn't mean she always works alone. One of her contacts has recruited her in the hunt for a ruthlessly efficient serial killer cutting a swath of terror across the country. The assassin is far too skilled to be an amateur—and the precision of the killings is bringing the Feds much too close to the hit man community for comfort. The author of the acclaimed Women of the Otherworld series returns with her latest novel featuring an exciting heroine with a lethal hidden talent. This time she's hot on the trail of a young woman no one else cares about and a killer who's bound to strike again. Nadia Stafford isn't your typical nature lodge owner. 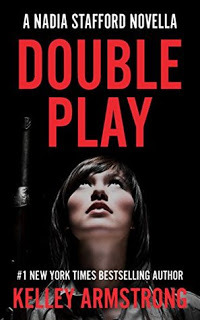 An ex-cop with a legal code all her own, she's known only as Dee to her current employer: a New York crime family that pays her handsomely to bump off traitors. But when Nadia discovers that a troubled teenage employee and her baby have vanished in the Canadian woods, the memory of a past loss comes back with a vengeance and her old instincts go into overdrive. With her enigmatic mentor, Jack, covering her back, Nadia unearths sinister clues that point to an increasingly darker and deadlier mystery. Now, with her obsession over the case deepening, the only way Nadia can right the wrongs of the present is to face her own painful ghosts and either bury them for good, or die trying. Because in her book everyone deserves a chance. And everyone deserves justice. Life is good for lodge owner and sometime hitwoman Nadia Stafford — a couple of dogs, a job she takes satisfaction in and the man she loves at her side as they literally build a home together. It's as close to normal as a pair of contract killers can get. Jack is halfway around the world when the trap is triggered. They're coming for Nadia. And he has no way to warn her. Yeah, I loved reading this series again! 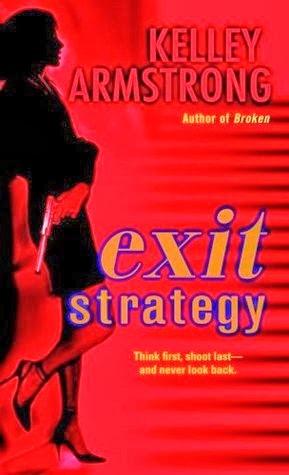 I wasn't meaning to, but then I watched a show with a hit-man in it, so yeah, I wanted to read this series again! I just love Nadia and Jack and the gang, they're so fantastic to read about! That moment in Exit Strategy when she realizes that Jack's aging technique isn't make up, but his actual age, yeah, that was so awkward! But I love reading it, because it's a step in their relationship where he's showing more of himself to her, and that was so great! I'd forgotten a bit about Evelyn's machinations. Not that she played games, not really, but what she actually did in these books that Nadia didn't like. Like the test in the first book with the guy coming after Nadia. Or in the second where when she knew the client was right, but didn't check that the job was wrong. It worked out in the end, but she still messed up. 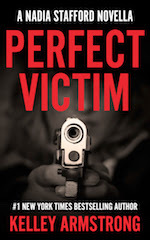 One thing that I really want to know, is the timeline between Perfect Victim and the Rockton series. Because Cypher is in both of them. I mean, I think I remember him mentioning in This Fallen Prey that could mean that Perfect Victim just happened. Maybe. 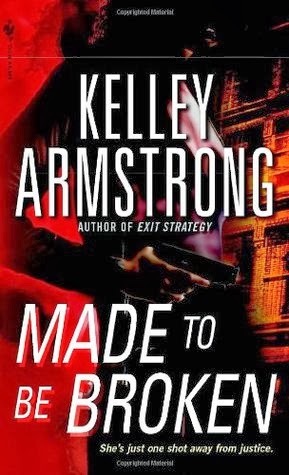 I'm probably going to ask Kelley Armstrong about that! Loved reading these books again, they were just so freaking great and so enjoyable! Reason Why: Rereading! They're Prequel & Sequel Challenge 2018 Books!